Want even BETTER deals on wholesale bulbs and perennials? Sign up for our emails—and you’ll get special offers right in your inbox. Golden yellow with flushed magenta. 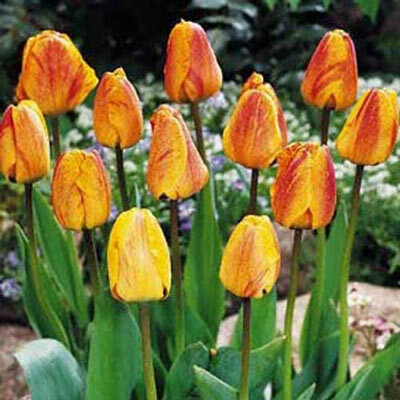 Holland-grown bulbs produce large, vivid-color Tulips that will start blooming this spring. Excellent for landscaping or mass plantings. Promote as a colorful antidote to winter–and pass the savings along to your customers! How Many Plants Do I Need? K. van Bourgondien times its shipments from Holland so that bulbs arrive at the proper planting time (depending on climatic conditions) for each area of North America. We take advance reservations, and then just as soon as the crops are harvested, our staff of K. van Bourgondien experts makes an on-the-spot selection of the finest bulbs available to fill those reservations. We will pack and ship your order based on the following schedules. In all cases, we choose the fastest, most efficient way to send your orders via USPS or FedEx. Orders for gift certificates will be shipped immediately. Due to hot weather conditions, we are unable to ship any plant items from late June through August. General merchandise will be shipped with your plant order. The type of product you order or the weather in our area or yours may affect the anticipated shipping schedule. Large orders may be shipped in more than one package. Your order confirmation will have an estimated shipping time. When your order is actually shipped you will be sent an updated shipping estimate. You may check your order status at any time on this website using your email or account number provided on your order confirmation. Please note that we cannot ship outside of the 48 contiguous states. Click here for zone map. Order with complete confidence. 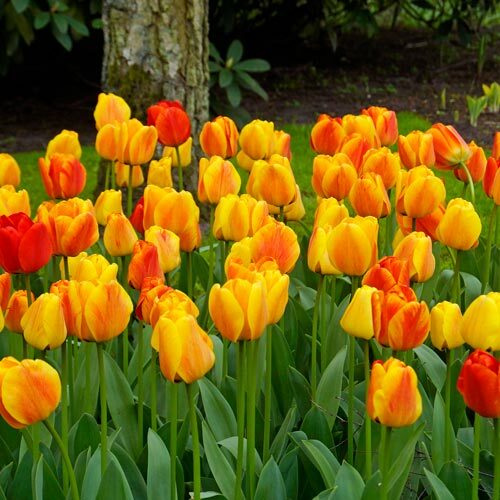 We select and ship only the finest quality bulbs and perennials. We pack them carefully to ensure they arrive safely. If you are not pleased with your purchase, please call us at (800) 552-9996 or email at service@dutchbulbs.com and our Customer Service representatives will be happy to help you obtain a merchandise credit. Your order is important to us, and we want you, our customer, to be completely satisfied. Get the latest catalog and updates about spring bulbs and gardening. Sign up for our emails--and you'll get special offers right in your inbox. Copyright © 2019 Gardens Alive!, Inc. d/b/a Dutchbulbs.com. All Rights Reserved. Dutchbulbs.com trademarks are registered trademarks of Gardens Alive!, Inc. Exclusive deals, new products and trends!